Is it too early to teach 25 months old toddler abacus? 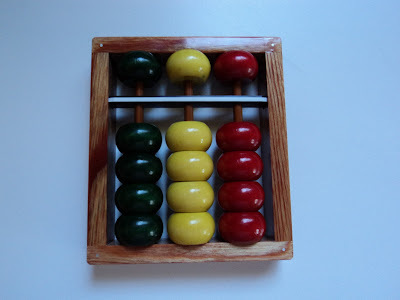 The reason I wanted to teach Eaton abacus was that he didn't like Doman Red Dots presentations. He always was saying NO to me when I tried to show him dots! I wanted to teach him how to do mental equations and of course I was reading some articles on Internet about benefits of teaching an abacus and how that influences brain development. We didn't have any abacus at home but I saw Eaton playing with one of them in Target, whenever we visited that store. I did some research and decided to go with Soroban-Japanese abacus. I found this website that use Soroban to teach math and decided to buy the whole set of books that comes with plastic abacus. My plan is to educate myself in order to teach my baby and this set of books looked simple enough for myself to learn from. 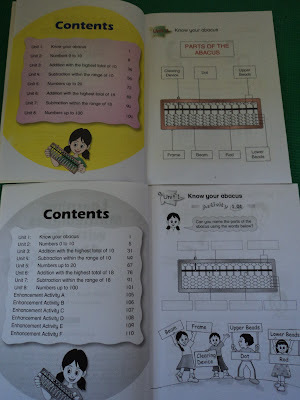 After reading a post by Shen-Li I decided to buy Pacchi-mini abacus. I thought it would be great to introduce this type of abacus first, as it has only 3 rods (ones, tens, hundreds), bigger, color beads and is made of wood. But because Eaton discovered this cool clearing device on the plastic abacus it is now his favor. The video I'm going to show you was made yesterday(Eaton 25 months old) after our dancing time. YES! I'm in the 8th month of pregnancy and run after my baby, clapping and cheering to the rhyme of the well known song "Down by the station" (I will post it in next few days). So don't be surprised of my screaming voice as I tried to catch my breath. Eaton grabbed plastic abacus and I wanted to have that on a video. Time for a first presentation of Eaton's knowledge about abacus. Do you teach your baby abacus? 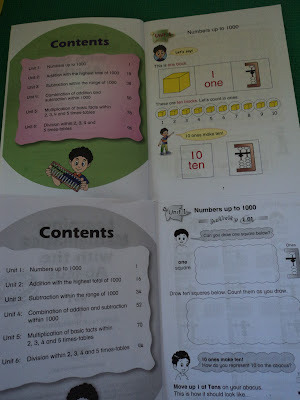 I would like to know other method of teaching. Please share! You have inspired me to give an abacus a try. I'll have to look into the program myself. I've never really taught math using one so like you I'd have to learn how to use it along with my daughters. Marta hello, can you tell us how are you doing with soroban now?? I am considering it myself. 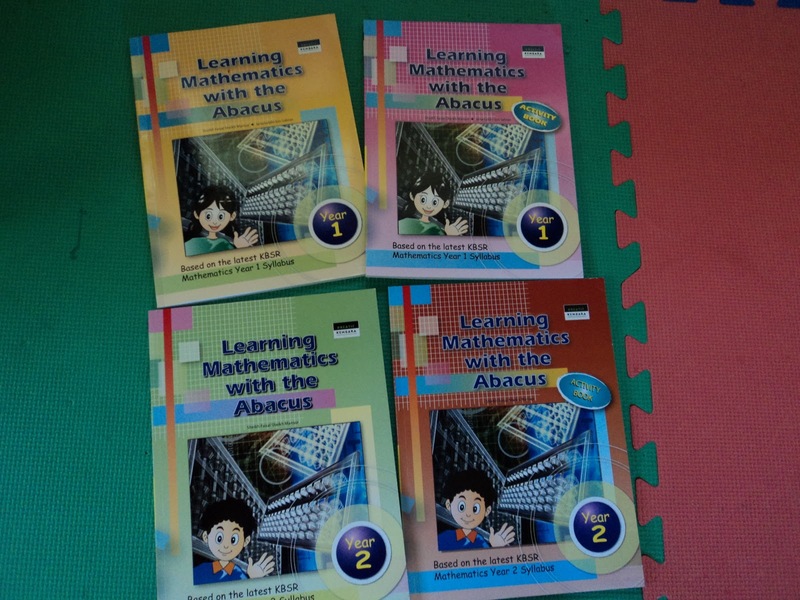 Hey, its really good post about Learning Abacus. Can u pls let me know where to get this book ?. best memory training course. 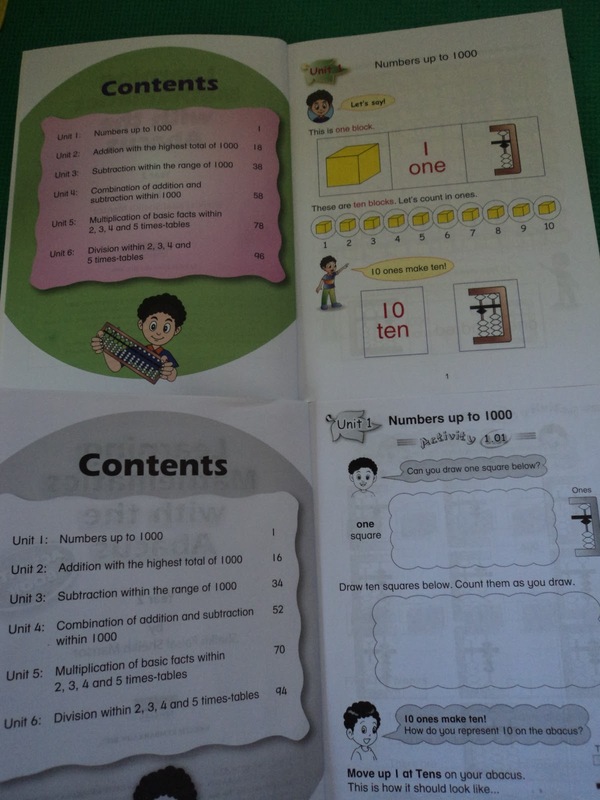 There are many organisation provides brain development program for kids in India.